Universal replacement needle for phonograph record players. Durable ABS plastic composition and diamond tip. Easy to be installed, no tools required. Play 3 speeds(33 1/3, 45, 78PRM) records player. 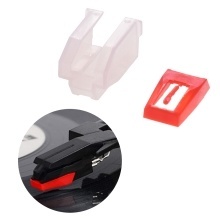 Fits for Crosley NP1 and NP6, also for other record players like ION, Jensen, Pyle, etc.